Note: When updating OTG 1.12.2 be sure to delete OTG-Core.jar or it will not be updated. 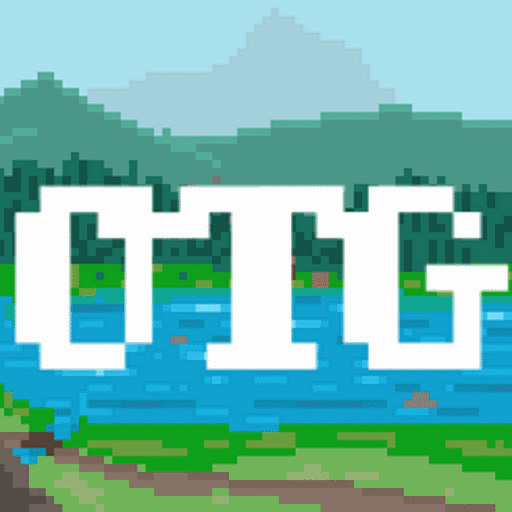 OTG is an advanced, fully customizable world generator. Through its various configuration files it gives the user control over almost every aspect of Minecraft's terrain and structure generation, allowing you to generate anything from floating islands to cave worlds with no knowledge of Java required. OTG supports both Spigot (servers) and Forge (servers and singleplayer). What kind of worlds can I create? Added GravityFactor setting to the worldconfig (this requires a Forge client with OTG). Forge only atm, can be used to change the gravity of a world/dimension. Some fixes for dims when using other mods that add dims. Smoothing fix for terrain (will cause minor seams in your world when entering newly generated terrain, looks much nicer though! See: https://cdn.discordapp.com/attachments/285816707040280586/415940913848647690/output_8hRRQB.gif). Savetodisk infinite loop fixed (one instance, there may still be more). DIM folders being recreated on server restart bug fixed. - Fixed a bug for Lost Cities dimension. Added a method for Spigot plugin developers (requested on the git). Added TERRAIN_GENERATOR dimension tag when sending other mods (like RC) dimension info via Forge IMC when an OTG dimension is created/destroyed. Frozensurfacehelper stackoverflow bug fixed (thanks BrainStone). BO3 CustomStructures now try to avoid vanilla structures as much as they can. Added /otg biomes command for Forge for debugging biome registry problems. Fixed compatibility issues with a number of mods including Pam's Harvestcraft, IC2, Quark, Recurrent Complex, Roguelike Dungeons and more. For a comprehensive change log visit the Github project page here. Was just wondering if there was planning on upgrading for 1.13 and the almost out 1.14? If you guys need any help i'd like to assist in any way possible..
Is it possible to customize dimensions other than the overworld (whithout creating new dimensions)? I'm trying to get a nether without a roof. I've used the mod Topography and tried to make it work with OTG, but sadly Topography uses its own world type and can't really be used in conjunction with OTG (or at least I haven't found a way). I made a new world using the Biome Bundle preset, and after exploring for a few minutes, I get an unexpected "Shutting down internal server" screen. I thought I crashed, but I didn't. Strangely, it informed me that the connection timed out, and I came back to the multiplayer menu! I was playing a 100% Singleplayer world with LAN and every other thing that involves online connections off. When I enter the Singleplayer menu again, my world details look really sketchy... where it tells you the gamemode and if cheats are enabled, I have at the end of it "Version: 1.13-JEID"
I have no idea what this means, since I definitely am not playing 1.13 and my version of Just Enough IDs is for Minecraft 1.12.2, and the version number of the mod is 1.0.2-26.. This is all really confusing, and that's why I am unsure if OTG is the cause, but again, I only started getting this weirdness after installing OTG. I have not added any other mods besides OTG. Hopefully this is relevant to someone. I've had this problem too. To fix it, delete OTG-Core from the 1.12.2 folder inside the mods folder. It is still loading in because Forge sees it. Do you have like a wasteland version? Looking for something suit Borderlands themed and have issues with wastelands spawning dungeon tactics. I am working on creating a mod pack for me and a small group of friends. We really want to have Forestry in the pack but Biome Bundle doesn't seem to generate any of the trees from Forestry. I love the world and the way that it looks and don't want to give it up and have started to try and create multiple bo3's for each tree in Forestry. I have been having issues finding a solution for this. I followed this tutorial to create a schematic and ran into an error with the bo3 converter so I tried using Bo3 BulkEdit instead. Only to have my world take the apple tree I made in a creative test world and spit it out as Better Nether bushes in the Biome Bundle world. Could someone please point me in the right direction for how to convert schematics to bo3's? Additionally I was wondering if I need to have all the same mods in the creative test world when creating the schematic as I do for the world my friends and I want to play on. Sorry this is so long, any feedback is appreciated. On .2760 Forge, I can load my world and use it fine. can this mod be updated to 1.13.2 forge? Ok, I've searched wiki, I tried googling, but I can't find much about IMPROVED RIVERS. I can't find any river in my world using this option. I've set river height and volatility on every biome to match it's terrain, but there are no rivers. Just as there are no articles about using improved rivers feature. :P Is there some secret place where I can find some descriptions on how to use it? I'm using the latest version of Forge (1.13.2) and I always get an internal error when I try to use the plugin, whether it's with multiverse or just with /otg. Is the plugin just incompatible with 1.13.2? Does anyone know a fix??? It's for Forge 1.12.2. There are barely any mods out for Forge 1.13.2. Cant find any abyssalcraft biomes on a friend's server (bundle biome + otg) so i tried booting single player and default setting on world create, still no abyssal. if you're talking about weather mods yes its compatible. This mod is very interesting and downloading it I was eager to try it out, sadly I was not aware of its effects on other mods. I came to the choice of this or BOP and BOP being my favorite mod my choice should be obvious. So I deleted OTG, but I payed the price, going into any world will crash my game. I have been messing around trying to fix this for a while and I've come to this conclusion, either not have BOP and have all past worlds that were created with BOP gone or have the game crash every time I open a world. I've made backups but I'm still stuck with crash after crash. gonna keep on going in circles until progress I made. If anyone has any advice I would be delighted!